IVIS allows you to gain new insights into complex dataThere are many different ways to look at structured data. Most of the time, it’s laid out in spreadsheets and presented in the form of bar graphs, line graphs or timelines. What you see is what you get: quantified data. But what you don’t see – and therefore hardly ever get – are the connections and dependencies hidden within the data. IVIS is an information visualization solution that allows you to see those at a single glance! Proactive Risk is the exclusive distributor in the United States for the IVIS solution. Nowadays, many companies constantly monitor their servers, networks and applications in order to detect suspicious activities. Graph visualization is a great tool to help digest this data and to uncover ominous patterns and events. Most law enforcement agencies collect and analyze data from various sources on a daily basis. Visualizing connections between people, emails, transactions or phone records has become key in modern day criminal investigations. Banks, insurance companies and financial institutions all face a common problem: fraud. 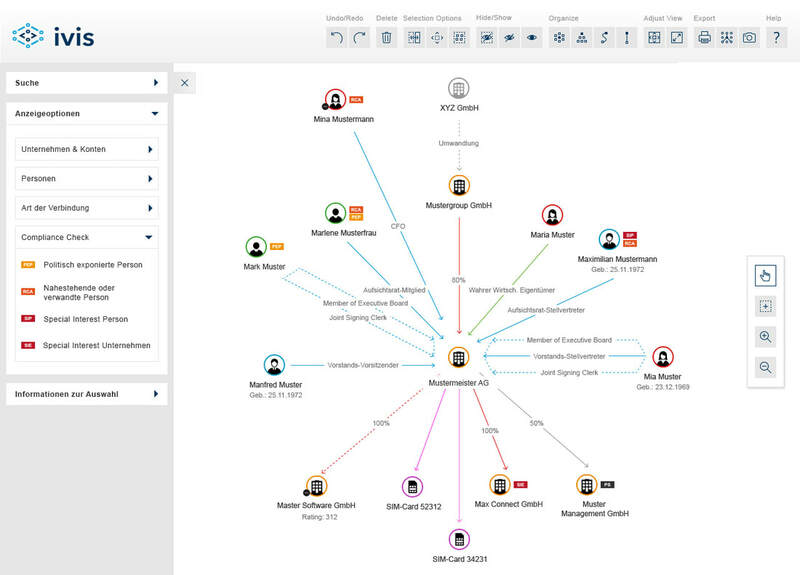 Graph visualization helps them to detect suspicious connections or patterns across large networks of people, companies and organisations. With graph visualization, enterprise architects can visualize an organizations’ assets and their dependencies. It allows them to conduct impact analysis, obtain insights on the current situation and promptly suggest further actions.